WE BUILD THEM JUST THEY WAY YOU WANT THEM. WE SHIP FACTORY DIRECT TO YOU OR YOUR JOB-SITE. WE MANUFACTURE THE JACKETS RIGHT THE FIRST TIME . 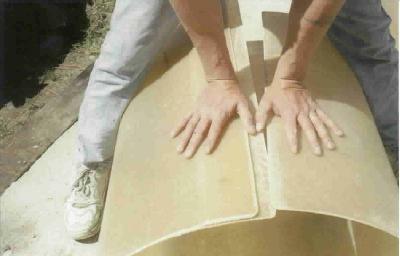 WE MAKE SURE THE SIZES YOU ORDERED ARE WHAT YOU GET AND MADE WITH ALL HIGH QUALITY MARINE BASED FIBERGLASS PRODUCTS. WE STRIVE TO DELIEVER YOU WITH THE BEST JACKET AT THE BEST PRICE ON THE MARKET TODAY. RIVERBEND FIBERGLASS IS A FAMILY OWNED AND OPERATED BUSINESS. WE HAVE BEEN IN BUSINESS SINCE 1985. OUR SKILLED LABOR FORCE AND LOW OVERHEAD ENABLES US TO PRODUCE THESE JACKETS AND SHIP THEM ALL OVER THE U.S. AND OTHER COUNTRIES.